The AP stopped short, however, of offering specific suggestions for how to characterize certain types of comments, policies and actions. To offer additional insights, Journalist’s Resource sought help from one of the nation’s leading scholars on race and history, Khalil Gibran Muhammad, a professor at the Harvard Kennedy School and the former director of the Schomburg Center for Research in Black Culture. Muhammad is the author of The Condemnation of Blackness: Race, Crime, and the Making of Modern Urban America and co-editor of “Constructing the Carceral State,” a special 2015 issue of the Journal of American History. We asked Muhammad how he thinks newsrooms should handle stories that center on race and racism. Below, you’ll find eight of our questions and his responses. Muhammad touches on a range of issues, including how important it is for journalists to understand the history of racism in America and incorporate more women of color into their coverage. We edited some of his answers for clarity and length. Journalists should not make decisions about how to characterize or frame issues related to race based on their audiences’ opinions or preferences. “It would be the equivalent of a newspaper questioning the scientific consensus on global warming based on what some readers think is not science but God’s hand,” Muhammad explains. Journalists who start using the term “racist” more often can expect audience pushback. “Some consequences that are already evident are … intense debates in comments among readers that can often lead to personal attacks of journalists themselves, where they begin to feel threatened or intimidated or silenced in how they report on these news stories,” Muhammad says. Journalist’s Resource: Newsrooms around the country have been criticized for using terms such as “racially tinged” and “racially motivated” to describe behavior, words and ideas that some people say are clearly racist. As a scholar of race and history, what do you think of these sorts of terms? Should they be used in news reports? 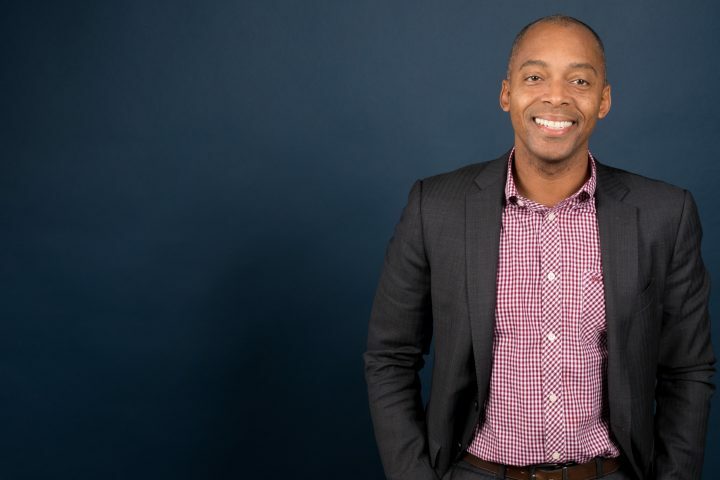 Khalil Gibran Muhammad: I think that such terms as ‘racially tinged’ or ‘racially motivated’ can be effective terms when there are very obvious questions of fact and the indications are that individuals have not been found guilty of specific statements or acts. When the actual statements and acts are clear, unmistakable and verified, they should be labeled racist based on the context, the history and the academic literature that has blossomed and exploded over the last 40 years to help us understand what individual racism looks like as well as institutional racism. There is no shortage of research to substantiate what racism looks like, where it comes from, how it is understood in historical context. JR: What advice would you give journalists who strive to be accurate in their reporting but worry that describing someone as racist or inferring that something they said or did is racist might be unfair or even libelous? Muhammad: So we obviously live in a society in 2019 where the question of what is racist or not sparks a tense disagreement. The fact that citizens themselves don’t always agree on what is racist or not is not the basis and should not be the basis for identifying categorical claims of individuals or groups of people as pathological, dysfunctional, criminal or various other group attributions that are clearly intended to be negative. That cannot be subject to reader preference. It would be the equivalent of a newspaper questioning the scientific consensus on global warming based on what some readers think is not science, but God’s hand. If journalists are to rely upon scientific evidence of one kind or another, the same rules should apply where racism has been identified either in an individual act or in an institutional context. The only question that should guide concern about libel is a question of fact and attribution. There are sometimes grey areas based on the perception that discrimination itself was legitimate in a case. It’s very common in policing episodes. Discrimination is not always racist by definition. Discrimination can simply mean that someone has used their discretionary power or a sense of discernment to make a decision and, in those cases, journalists may err on the side of caution when attributing racist motivations or defining the act itself as racist. But there are many more cases, in the context of the totality of circumstances and any other evidence of individual motivation, that should be defined as a racist act. There is another way that journalists can also move the needle away from euphemisms about race to affirmative statements about racism, which is by interviewing a greater selection of people of color … and more of a diversity of man, woman on the street … Journalists should themselves be more discerning of how they use everyday observations in laying out a case for racism as the label to use to describe the act or behavior. JR: The Associated Press recently amended its Stylebook to offer more guidance on reporting about race. There has been a lot of news coverage of that change. What do you think of those changes? Are they adequate? Muhammad: I think that the AP is absolutely on the right side of history on this decision. I also think, based on what I’ve read, that it’s not just about naked displays of white supremacy either, or KKK [Ku Klux Klan] or the reemergence of white nationalism. There are racist policies that are rooted both historically and in our contemporary moment that shape our criminal justice system, our educational system, housing sector, banking and financial institutions, which may be written or often are in color-blind language but clearly were designed to produce racist outcomes or racially disparate impacts. I think that the next version of the AP approach would be to draw on the academic literature that moves us past identifying racism with explicit displays of white supremacy to the systemic problems that are even driving the 2020 presidential election in much more explicit language. My colleague Ibram Kendi has written about this problem and has been very clear that a racist idea can live in the heart and the mind and in the voice of any individual, regardless of their actual color or ethnic background or nationality … Racist ideas are much more ubiquitous in our society than avowed, self-identified racists. And if we can be more honest and transparent and more courageous about identifying racist ideas that circulate in our classrooms, in our homes, in our schools [and] in our neighborhoods, then journalists will be more effective at identifying major problems in our society rather than being complicit in them. JR: Can you offer guidance to journalists who are unsure about what constitutes racism or what should be called racist? Muhammad: I think that the problem for how to build racial literacy among journalists starts in college and in journalism schools. … There’s really no shortcut for that increased literacy and professional development. It can’t just grow out of reporting and calling someone like me to get my take on it, because although I may give you a great quote, it doesn’t mean that you’ll understand how to use it and if you get challenged by an editor or you get challenged by readers, you may feel unprepared or inadequate to defend your choice. You have to own it for yourself. JR: If we continue along this path — calling a racist idea “racially tinged” or a racist action “racially charged” — will there be negative consequences? Muhammad: Yes. … I certainly expect that media outlets will get lots of backlash and resistance to more aggressive use of the terms “racist” and “racism.” I think that, again, in our climate of social media division and self-selected media silos and an era of conspiracy theories and alternative facts, what journalists should hold onto is the truth of science, social science and history of racism and racist ideas. And if they can imagine not tailoring their stories to suit a skeptical audience of climate change deniers as a breach of their ethical conduct, they should hold fast in the same way to how they write and report on racism in America. I’m fond of metaphors because I think they help. I think that in light of the intense and increased scrutiny of sexual and gender inequity in the workplace as well as explicit examples of sexual assault, intimidation, harassment and predation in the workplace, that the more vigorous use of labels to define sexist behavior and anti-woman ideas should also guide journalists into a more courageous embrace of [labeling] racism and racist ideas and actions. JR: What consequences have you already seen? Supreme Court Justice John Roberts said in the Schuette affirmative action case that the best way — and I paraphrase — to end racism and racial discrimination is to stop talking about race and racism. So a lot of readers think that any time we ascribe “racism” to the behavior or the idea or the expression that that is, itself, a racist act. And readers are wrong in most instances. Sometimes, they’re right if the journalist is ascribing something that is still debated as a fact or hearsay. JR: You’ve talked about training and becoming literate on this issue. Does this mean it’s not enough to have people of color in the newsroom? Muhammad: [It’s] absolutely not. I’ve looked at research that shows how little the history of race and racism is taught in public schools in this country and, even when it’s taught, how poor the lessons are. The Southern Poverty Law Center has been excellent in scanning state curricula around these questions of what is in social studies standards, and they’ve found disappointing evidence across all states of how little actual history of race and racism is taught in our nation’s schools. So we can only assume then that everyone is working with deficits in these areas unless we know otherwise — unless we know that a person has particular professional experience and/or educational experience. Even when we’re hiring people of color. The goal is not only to encourage journalism programs themselves to take greater ownership and responsibility for teaching the history and present of systemic racism, but also to make sure that in hiring practices, that they [newsrooms] are having a conversation with young talent — both people who are of color as well as whites — to find out what their experience has been, what particular knowledge they have and how comfortable they are reporting on these issues. It’s not to say that they won’t hire people who have expressed less competency in this space but it should be an opportunity for professional development in the newsroom. Everyone needs that. I teach here at the Kennedy School. I teach sometimes up to 100 students in a class on race and inequality in American democracy. It’s a class that covers the last 150 years of racist policies and resistance to them and I would say 80 percent of my students do not have good background knowledge before they enter my classroom. And I would say 100 percent of my students are incredibly grateful for what they learned at the end of the semester. Some of them also happen to be journalists and are better equipped to do their jobs as a result of that experience. JR: Is there anything else you think journalists should keep in mind when covering racism or thinking about how to frame a story centering on race? Muhammad: I think journalists should be more intentional about centering race stories with women of color because I still think that the gender divide relies too much on a normalized, universal white woman’s experience. And readers will benefit and newsrooms themselves will benefit more by highlighting women of colors’ experiences with systemic racism as a way of showing that these intersecting identities reveal with even greater clarity how historical and contemporary systems of oppression actually work. We’re still over-reliant on thinking of gender as a white woman problem and thinking of race as a black man problem. And you can get a lot of mileage out of focusing on women of color and revealing how both gender and race work. This is not rocket science and I’m not the first person to say this, but I think it bears repeating over and over again. Want more journalism tips? Check out our tip sheets on interviewing white-collar criminals, tracking down high school and college yearbooks, covering poverty and reporting on extreme weather.